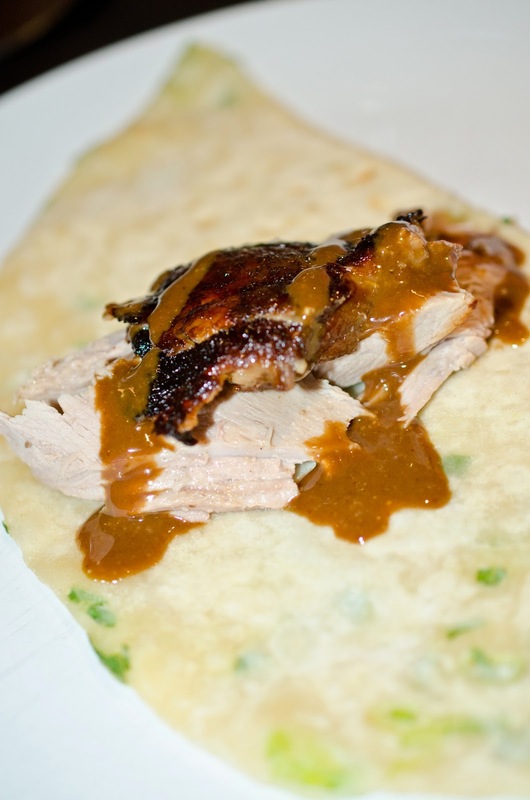 We have our Hoisin Sauce, now we need Scallion pancakes to go with our Peking Duck. Don't worry the next post is about the Peking Duck. 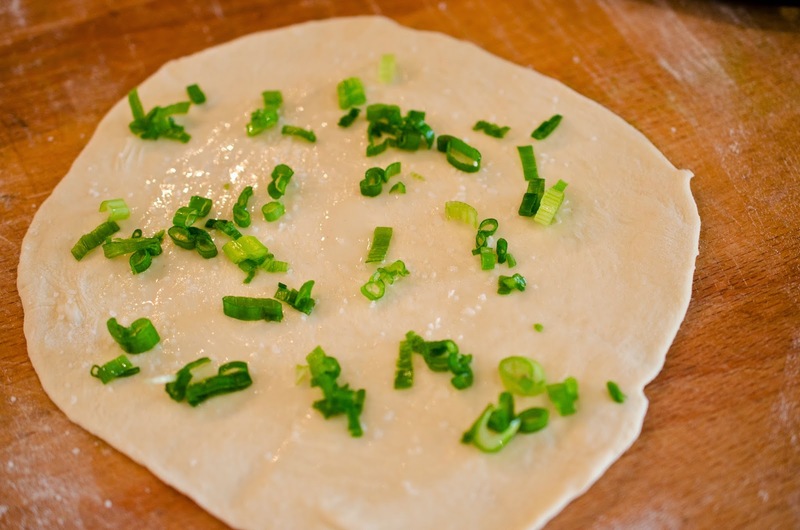 Scallion Pancakes are very traditional in Chinese cuisine and are served with Peking Duck. These pancakes resemble a tortilla more than a pancake. I loved making these because the process is so fascinating. Keep reading and you can decide whether I'm crazy or you agree. hoisin sauce. Yes it was very yummy together, even cold it was yummy. 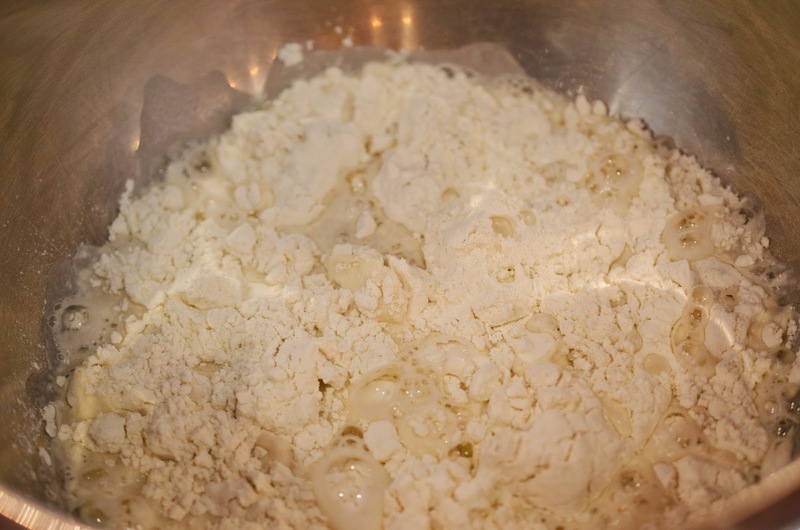 Mix the water and flour together with your hands until the dough comes together. 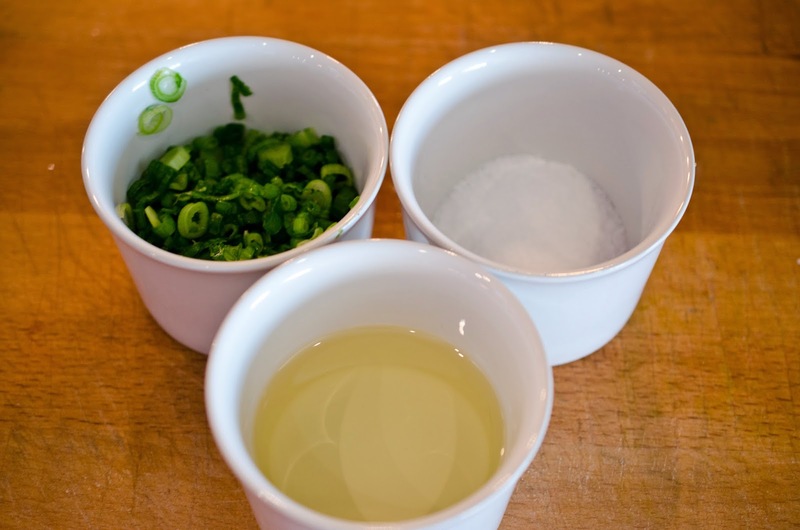 Pour oil into a small bowl or ramekin, pour salt into another bowl or ramekin and also place the scallions in a bowl or ramekin. 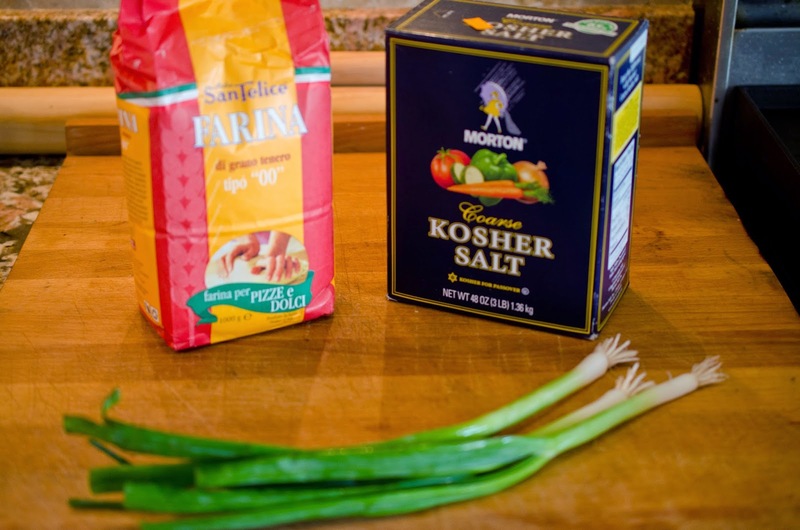 Have these ingredients ready to assemble on your pancake. 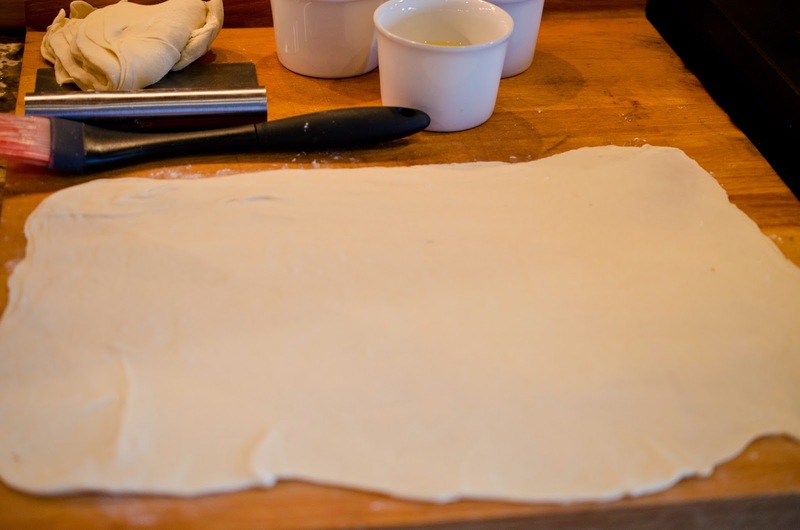 Roll out half of the dough into a large rectangle, 1/8 inch thick. Brush with vegetable oil. 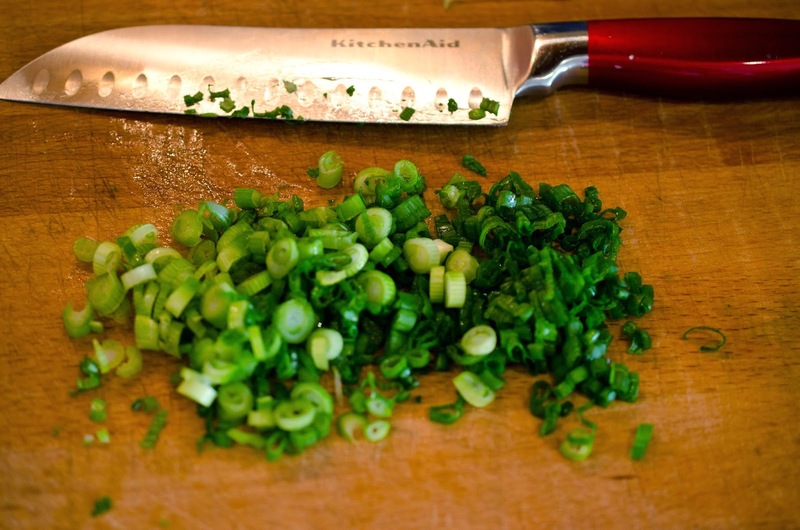 Sprinkle salt and half the scallions on the pancake. 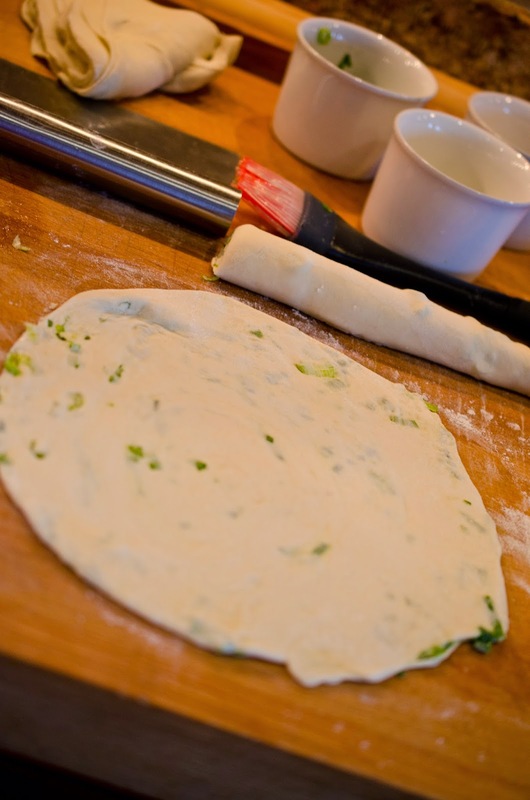 Roll the long side of the dough away from you into a wide dough snake. Cut the dough snake in half, poor dough snake. Just kidding, it's not a real snake. 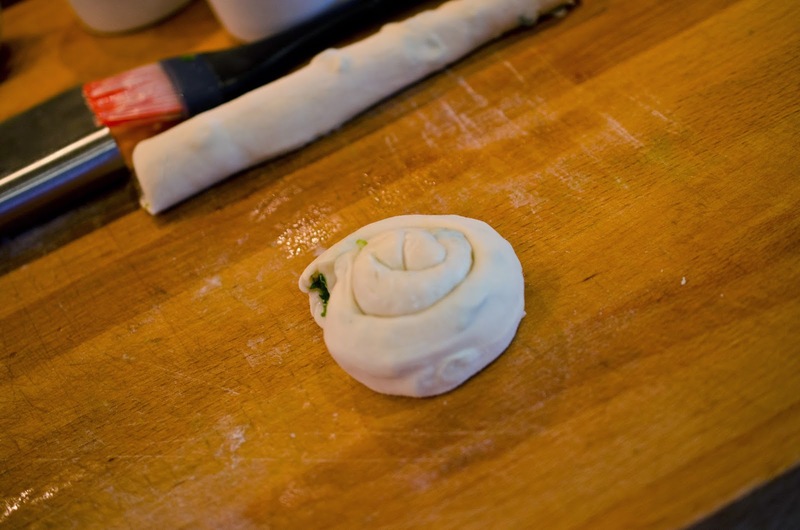 Taking half the dough snake coil itself around to form a tight roll. Preheat large cast iron skillet or flat griddle to medium-high. Using a small rolling pin flatten the coil. That's right, you are going flatten your snake into a pancake. Brush vegetable oil on skillet/flat griddle and cook pancake for 2 minutes on first side. Serve with Peking Duck and hoisin sauce. The next post will be the duck recipe. Cut the dough snake in half. Using a small rolling pin flatten the coil. These look like so much fun to make! I can't believe you cut that poor snake in half and then made him into a pancake. Tsk tsk.